Alina Z is an award-winning, Board-Certified Health Coach, Detox Specialist, Chef and Creator of the #1 Best Diet in America, as selected by Harper's Bazaar Magazine. She has launched two food lines - one in Boca Raton, Florida and one in Moscow, Russia, as well as co-created 2 juice lines in Florida and one in Kazakhstan. Alina's passion is in bridging the gap between healthy and tasty food. ​But just in 2009, Alina was a marketing executive who had a bad relationship with desserts and didn't even know how to peel a shallot. How did she find her way to peace with food & happiness? Born in St. Petersburg, Russia, and unafraid of new challenges, Alina Z came to America alone at only 15 with a dream to start a new life and launch a fulfilling career. Alina began her journey at a Quaker high school in Maryland, then earned a degree in Design Management from the Parsons School of Design and has parlayed her sense of fashion design to her passion for food, nutrition and cooking in a way that creates your own individual style. She became a board certified by the American Association of Drugless Practitioners after she completed her studies at the Institute For Integrative Nutrition - world's largest nutrition school. Alina now coaches clients of all ages, both in person and across the world on how to achieve vibrant health and happiness with a teaching style that's both fun and easy to follow. If she can do it, so can you! Master's Degree in Public Communication, American University. In 2009, prior to moving to Florida, Alina hosted her own cooking TV show in Maryland -Entertaining A to Z, a TV show for people who didn't have time to cook, but liked to eat. Since then, she has written her book - "Single & Hungry: An Un-Diet Guide To Food & Self Love." This book explores the deeply rooted connection between food and self-love and gives readers realistic ways on planting new seeds that result in health and happiness. Alina's next writing project is "Office Guide - Tips for eating at work" and "College Guide - Tips for eating at school without gaining Freshman 15"
IN ALINA'S WORDS - From Struggle with Food to Peace! For nearly 4 years I was a Vice President of Marketing at Windows Catering Company, one of Washington DC's Largest Catering Companies and my entire days were wrapped around talking about food, writing about food, designing projects around food, thinking about food and tasting food! You can only imagine the toll it took on my health and my relationship with food overall! I also had to work many hours and was always on the go. From early morning networking breakfasts to late-night cocktail receptions and galas, I barely had time to eat healthy. That busy lifestyle was so hectic that I gained my share of unwanted 20 pounds, which I struggled to lose with traditional diets. Diet book after diet book, my shelfs were getting fuller and waist wasn't shrinking. As a last resort, I chose to take the matters in my own hands and enrolled to study nutrition at the world's largest nutrition school -- Institute For Integrative Nutrition, in New York City. The experience was truly life-changing - I found my unique way to health and fell in love with the field of nutrition. I felt my calling to help others find their own ways to vitality and happiness and so I took a plunge. I followed my passion, quit my job at the catering company and started my own business. I know how challenging and confusing it can be to navigate the world of healthy eating alone and now I am happy to be the support my clients' needs to reach their goals of radiant health. I know that if I could do it, so can you! The only thing that I saw missing in the health market was FUN! I saw food was either healthy or delicious and with my background in marketing for luxury brands I chose to promote the best of both worlds - food can be healthy, delicious, on the budget, quick and easy! Life is short and you have to have a great time! Why settle for less than that? 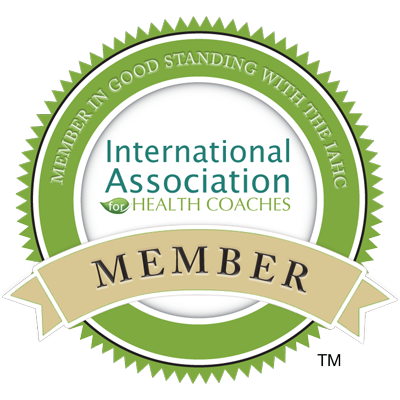 In December 2012, I formed a group called America's Health Coaches that focuses on creating a TV show that transforms the way I America views health by making it inspirational, attainable and fun. In January 2013 we won an award for the Best Unscripted Day Format TV Show Pitch at the Florida Media Market. Unfortunately our group didn't stay together and other members went in their own directions. However, I am still pursuing my calling and creating a TV show.